Anushka, the only daughter of her parents, is a librarian of an esteemed institute but she has a dream of becoming an author. Kaushik, the younger of two brothers, is a lecturer of a College in Siliguri. They meet, fall in love and wish to marry. They think and believe that one completes the other. But, things go awry and separates the two love birds. Though apart, they keep their love enflamed in their hearts. The pangs of separation tears apart their hearts but they stay firm to the sacrifices made. While, Anushka becomes an acclaimed novelist and Kaushik, principal of a college. But, they both have one wish- to see each other again. And they do. But fate had other plans in store for them. It took me just over 3 hours to finish this book. I'd be honest with you, the book is quite good in the length department but maybe my reading speed was at its best. The language was simple to the most part and flow was lucid. I felt the narration could've been much better. With that I mean, the story telling portion felt a bit weird. Nothing negative, just different, maybe not suiting to my style or going around the stories. I wish the font size was a bit larger. The cover is very simple and something I'd pass as okayish. The story actually gave me a lot of bollywood vibes. If you are into stories where there's pain to reach the love or a ton of pain between love then you should check this out. It was quite predictable, yet I wished there could've been some major twists, or revelations of some sorts...The love at first sight scene here was felt a bit abrupt and weird to me, might not be for you. The story has mature descriptions to some extent, something to keep in mind if you are looking or not looking for that in your romantic reads. Overall, I enjoyed the read. 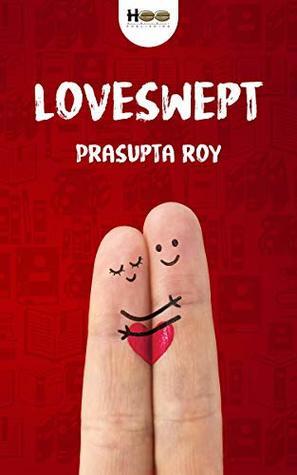 I'd happily recommend this to someone who wants to try romance for some change and loves the bollywood styled stories more. I wish there were more character descriptions as you tend to misunderstand the characters until a few chapters deep inside. It was a good enjoyable read. It can be a hit or miss for you depending upon your taste in romances.